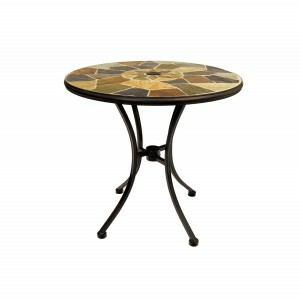 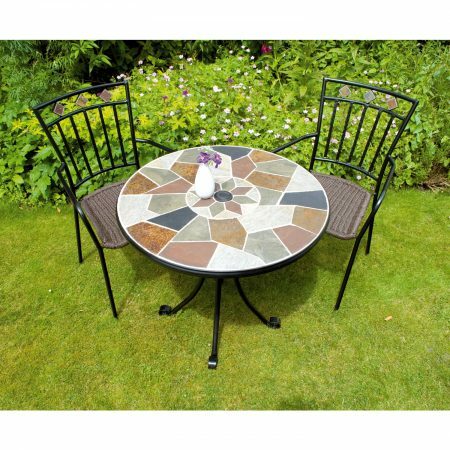 A natural stone built table the Pompei at 76cm is large enough for 2 people to dine at, the table is hand laid in mosaic style with natural riven stone. 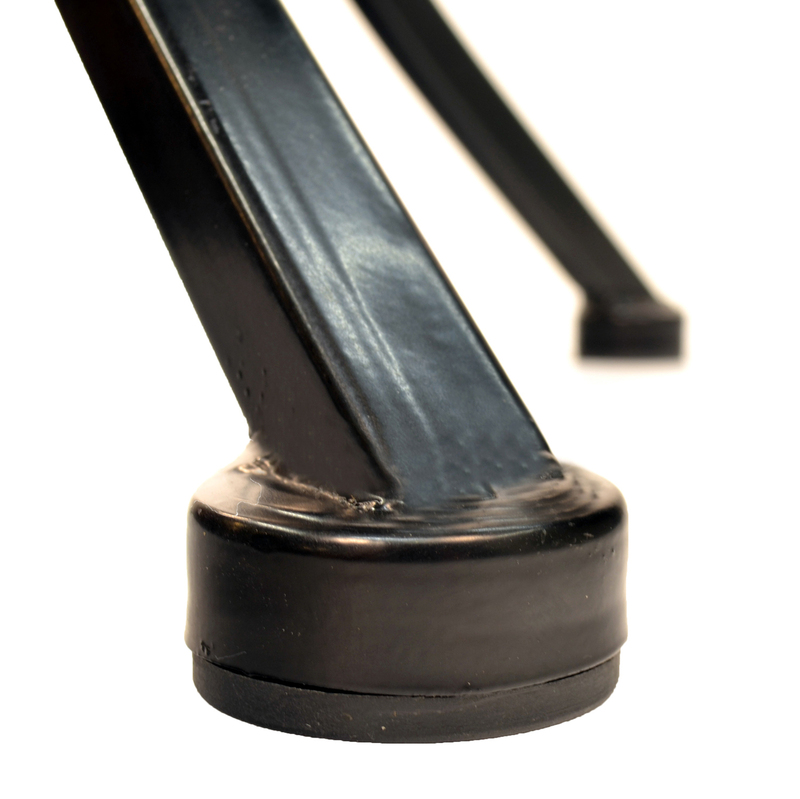 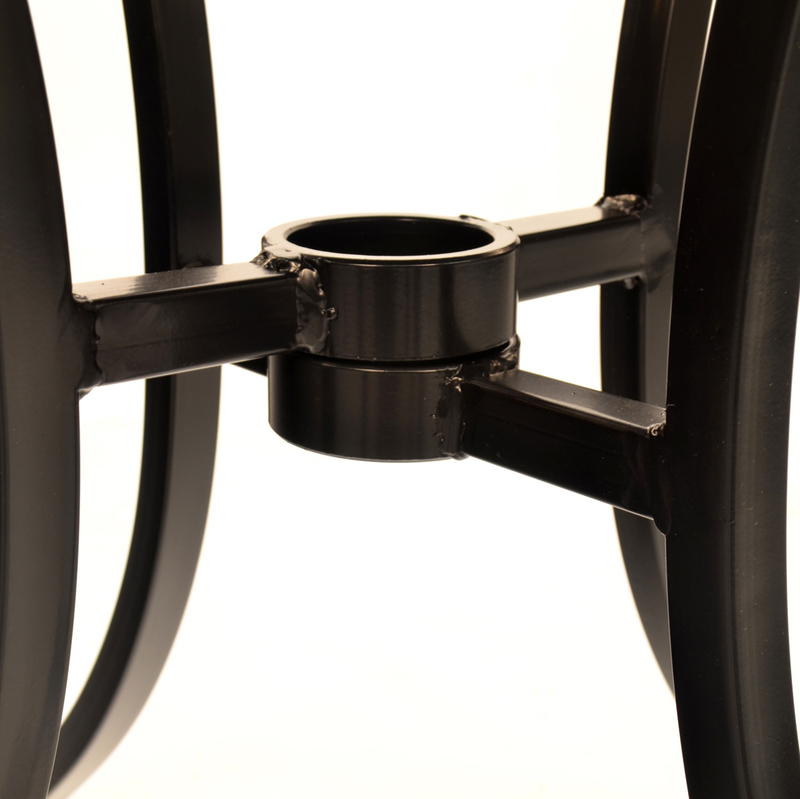 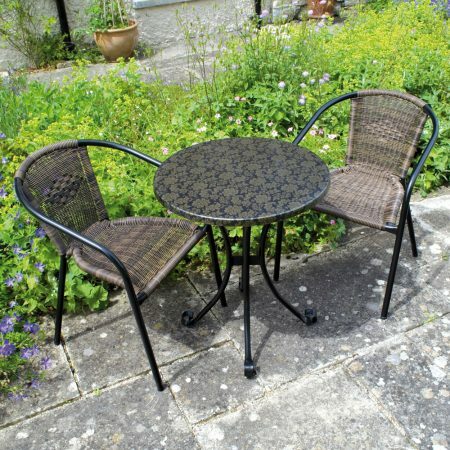 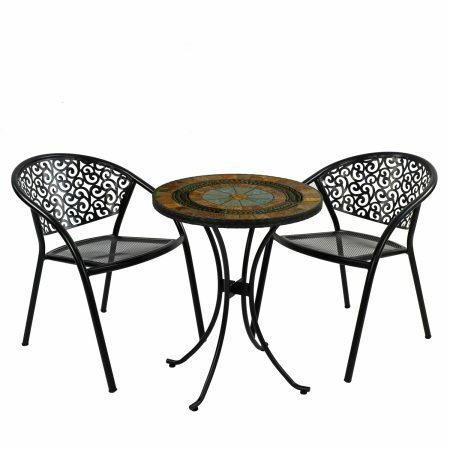 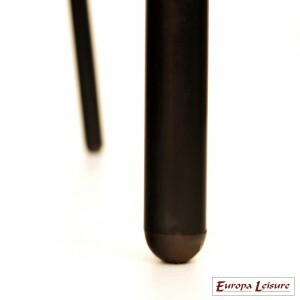 The table boasts a parasol hole and has steel legs finished in black. 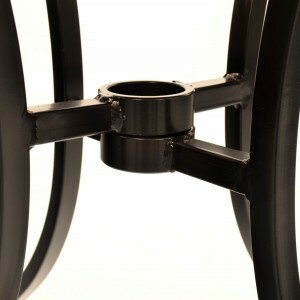 The Malaga chairs have a matching stone detail on the back rest, they stack and are weather resistant. The Pompei table is made from hand-cut natural stone with a riven surface. 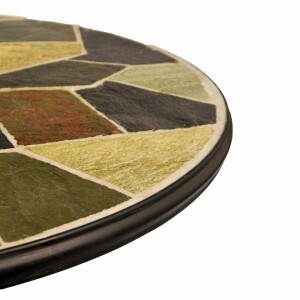 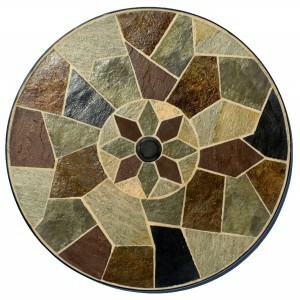 The colour variation of the stone means no two tables are alike, adding to their charm. 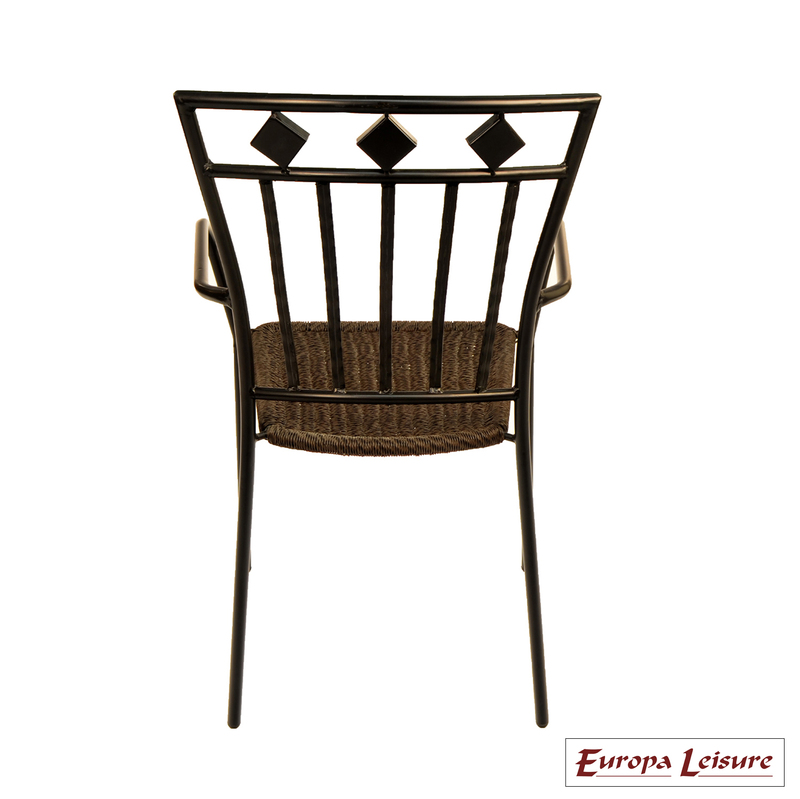 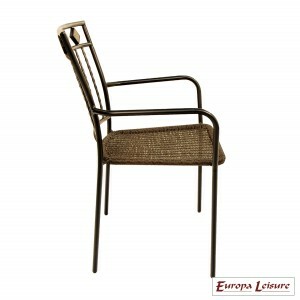 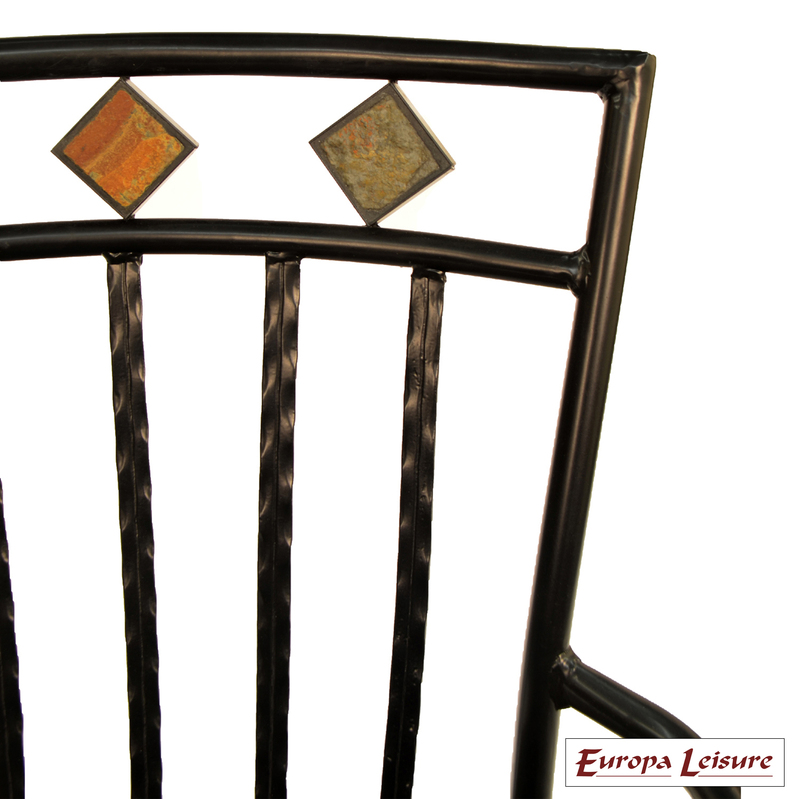 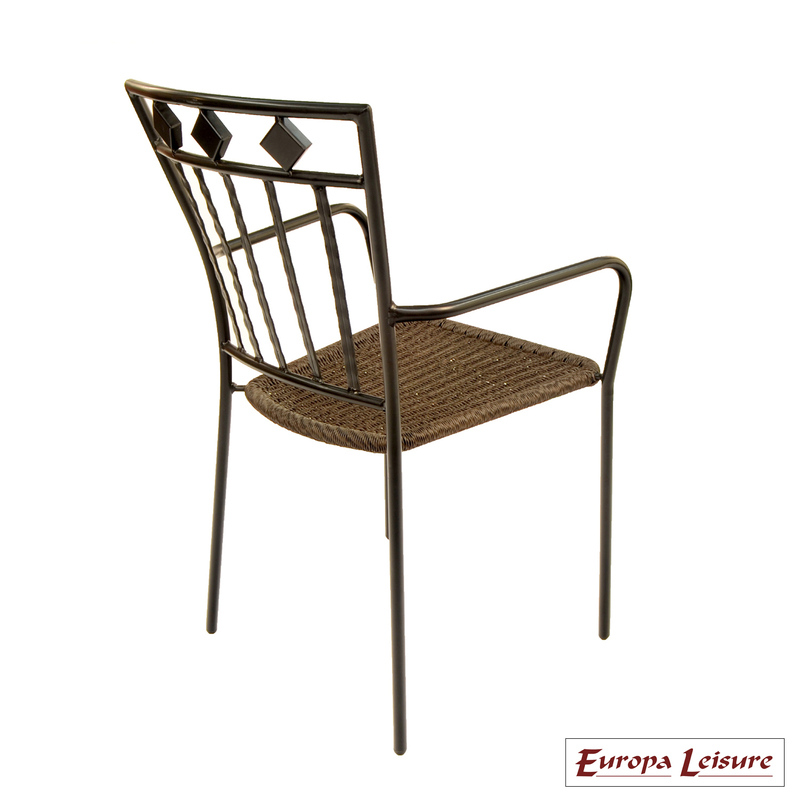 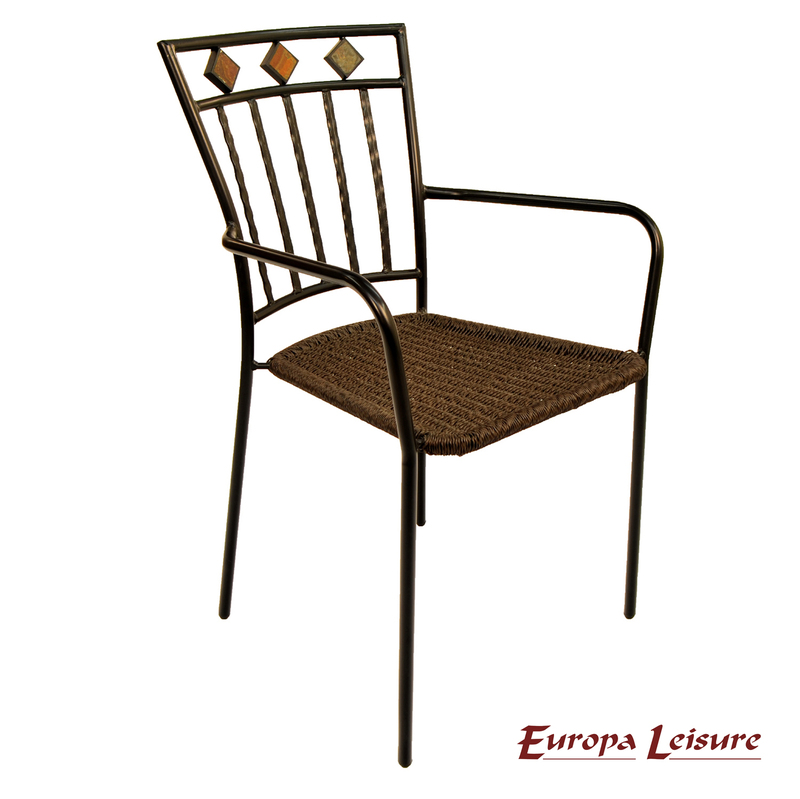 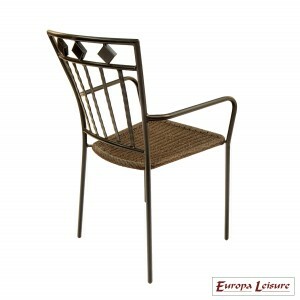 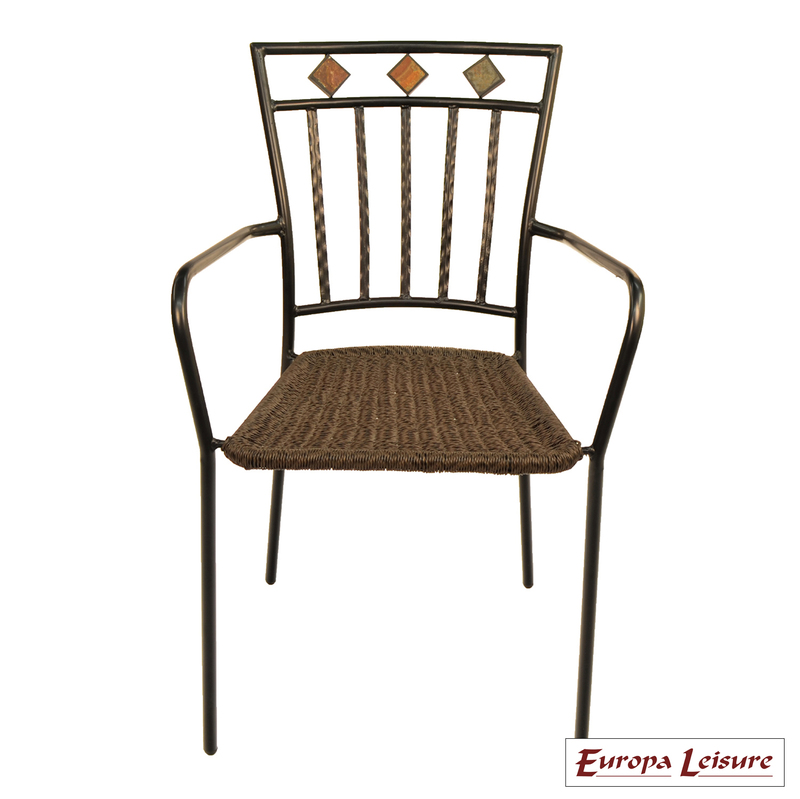 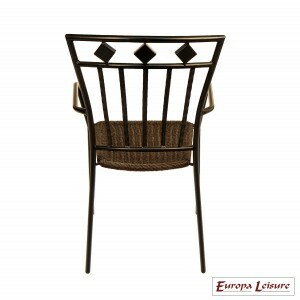 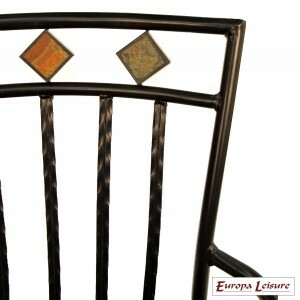 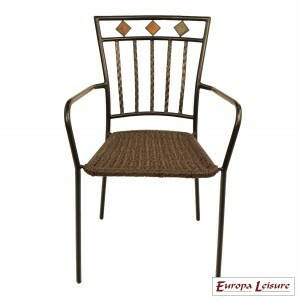 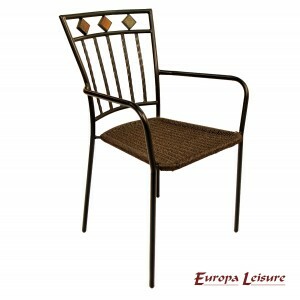 The Malaga chair, which has matching stone diamonds in the back rest and has a hand woven resin wicker seat.